The northeast region of Downtown Los Angeles, popularly referred to as the San Gabriel Valley, has its neighborhoods and cities on the rise. However, nowhere is this rise more prominent than in Pasadena. Aside from the booming infrastructural development, the city boasts of being one of the major cultural centers of the San Gabriel Valley and is a home to a myriad of scientific and cultural institutions such as the riveting Norton Simon Museum. Additionally, the city is famed for hosting the annual Rose Bowl Football and Tournament of Rose Parade. Just being in close proximity to the sprawling and highly successful south California city, Pasadena is gaining some well-earned respect that is reflected on the property and home values. Pasadena has never been enough to create an infrastructural buzz that the city has longed for until now. After all, Los Angeles has always enjoyed a great infrastructure, and the real estate market in particular has always boomed. Now it’s Pasadena’s turn; the city is currently experiencing a developmental and infrastructural rush. New homes and commercial properties are popping everywhere, while the old homes are being restored to their original luster. Being on a Mediterranean climate with typically hotter summers and cooler winters, many roofing needs in Pasadena CA are of multifamily and HOA housing. Unlike the general residential roofing needs, there’s more to consider when choosing multifamily roofing needs. 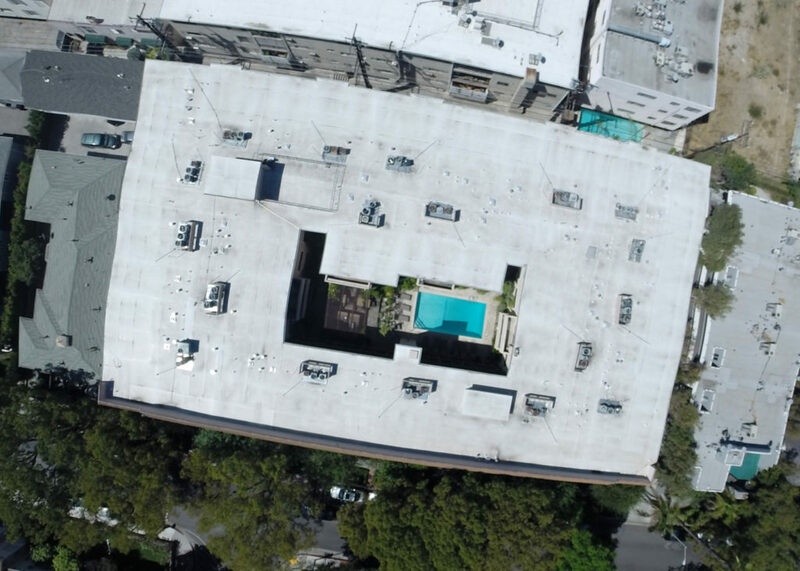 There’re numerous aspects to factor when choosing a roofing contractor for your multifamily roofing needs in Pasadena CA. When choosing a roofing contractor, always ensure that you choose a contractor who has adequate experience in the roofing domain. This includes the provision of the actual roofing services, roofing consultation services, and liaising with other related developers. Experience is not only measured by the number of years that a company has been in existence but also the number of successful projects that the company has completed. A firm that has a track record of providing professional services is most likely going to offer you quality services. A professional roofer should be fully accredited and should hold relevant documents that allow them to practice their skills. If you hire an accredited roofer, you will avoid the risk of getting substandard work that can put your homeowners and reputation at risk. Also, ensure that the firm has an insurance coverage for its workers; this ensures that you are not liable for any accident or damage to your property or third party during your roofing project. The term professionalism might be a bit subjective since it’s not measurable. However, professionalism of a company is all about their service delivery and how they associate with their clients. This, however, you can obtain by making inquiries from clients who have used their services before. Requesting or reading reviews of a firm from past clients can actually provide you with a firsthand experience of what to expect from a specific roofer. Roofing is more than just installation and repair; seek to build a relationship with a company that offers an array of services under one roof. Also, aside from providing auxiliary services such as maintenance, free consultation or insurance, choose a roofer that provides value for your money.